Portland Design Works makes two of my favorite non-rechargeable tail lights from last year – the Radbot 1000 and the Danger Zone. They’ve just released their newest light, the Aether Demon. The Demon has a very similar design to PDW’s other lights, with an easy-to-click button and narrow but bright beam with eye-grabbing flash patterns. This light is essentially a USB-rechargeable version of the Radbot 500. Light output doesn’t drop as the battery is consumed, which is a problem with PDW’s AAA-powered lights. 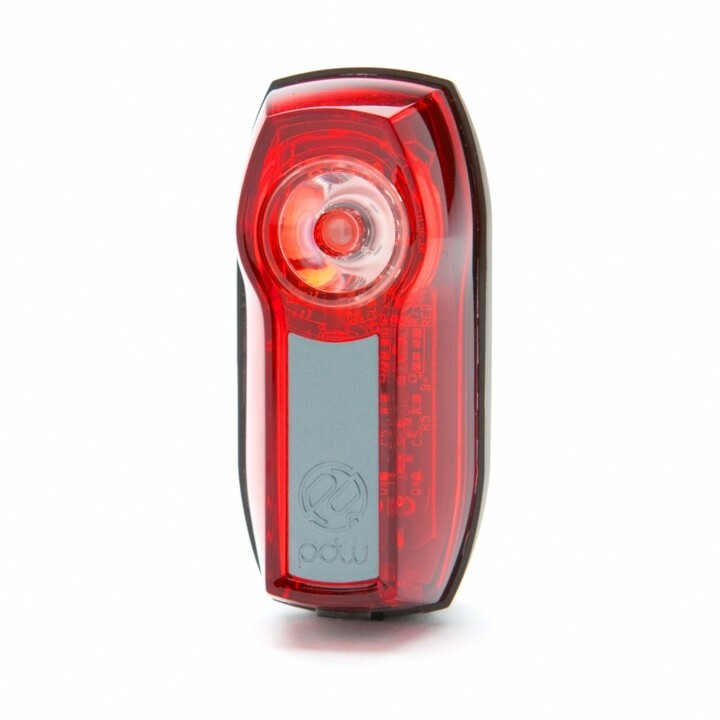 Uses the same mounts as PDW and Planet Bike’s other lights, which is handy for swapping it between bikes you already have set up. Low-power “group ride” mode, which dims the light and sets it to a calmer flash, for when traveling with others. Not as bright as the Radbot 1000 is with fresh batteries, but the Demon’s brightness stays constant while the Radbot’s drops as its batteries’ voltages drop. Kind of pricey at $50, but you’ll save more from not buying batteries than you would by buying one of PDW’s other lights. Despite relatively low brightness for a rechargeable light, it was the first to die (4:15 hours on solid mode). The Aether Demon is an exciting entry into the rechargeable market, and I’m looking forward to seeing what other rechargeable products PDW may come out with in the future as they work to refine and enhance their designs.